I was shooting with singer/songwriter Jessica Murae recently and we thought it would be fun to try out the prism lens I bought last year. I love anything that adds a sense of surreal and nostalgia to images and this did just the trick. I'm looking forward to using it more regularly. One of my favourite things about getting a new camera is the excuse to go out and collaborate with new people. Hannah and I shot three looks together and it was great to work with someone with such fresh style. We shot on my Canon 5D Mark ii and a few on a 35mm point and shoot. I recently collaborated with vintage bohemian clothing brand The Hippie Shake. 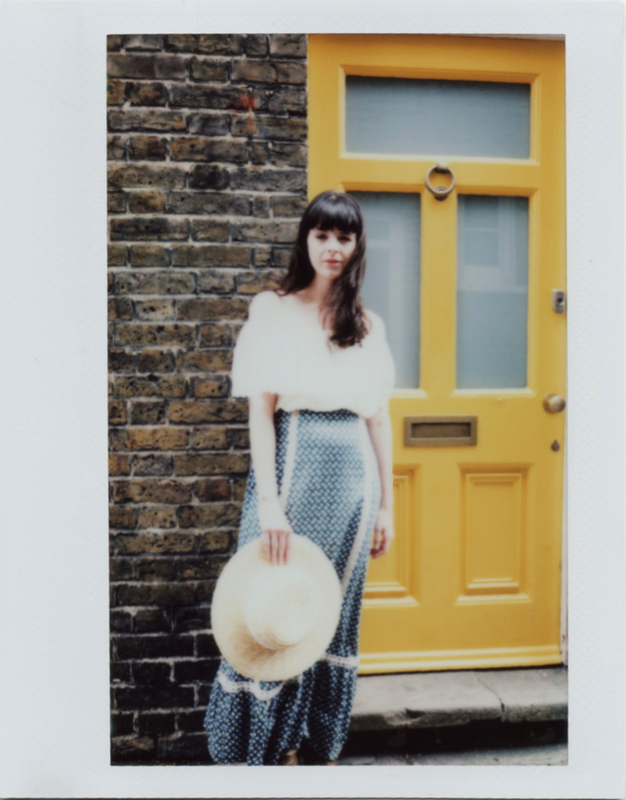 We pulled together a number of seventies looks for the new look book. The short was so much fun! These are the ones we captured on my Instax wide. Earlier in the week I shot London blogger Hannah Louise on Brick Lane. This is look one of three shot on the day. Every few years my best friend and I take a road trip to Dungeness. It's a strange place, full of artists holed up in isolation ready to create. Here are some photo's from a roll of 35mm taken while we wandered around. I've finally managed to get around to scanning this film I shot in February. I took an early morning walking in the frost around the woodlands where I live. It was so beautiful and a chance to really just look at the environment around me and appreciate it. I took out my trusty Canon EOS 300 35mm camera and used a random film i had lying around. I've got a feeling this lens needs a good clean though! I co- founded and curate Fleur and Arbor, a new online platform for sharing contemporary photography and providing opportunities for people to showcase what they create, along with their writing and providing space to exhibit work. We recently had our first open call, asking for submissions exploring the theme of 'Change', with all images having to be shot on a disposable camera. Here are some of the submissions below. This project 'Untitled Faith' was shot during my second year of University. I wanted to explore the strangely bland rooms offered to practice Faith in. I shot in a variety of places, including a Quaker meeting house, the university nurses office and a Baptist church. I wanted to explore the idea that faith cannot be seen, only felt. And eventually i realised that it didn't matter what the room looked like, a spiritual moment can take place anywhere. We spent time at Hampstead Heath and Crystal Palace Park. I'm a big lover of vintage so it was lovely to meet with and shoot for Sara.